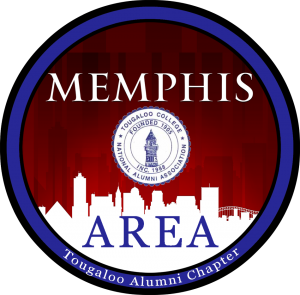 Memphis Area Tougaloo Alumni Chapter (MATAC) officially kicked off the summer by including “U” in their Inaugural Signature Event! We added a lot of SOUL to the SOLSTICE! 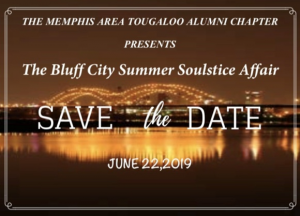 Over 150 people, including sponsors from Texas, Mississippi, and the Memphis community attended MATAC’s 1st Annual “Bluff City Summer Soulstice Affair” on June 23, 2018, in support of the chapter, our beloved Tougaloo College, students, and alumni! The casual fun-filled night with live music, food, wine, dancing, and connecting with alumni and friends took place at the Playhouse on the Square on Cooper Street. The Special Events committee – Sylvia Gray, Juandalyn Rhodes, Deborah Alluisi and Princess Cry Parker – put forward great effort in the planning and execution of the evening’s event! Our fantastic chapter members spent a lot of extra time and went above and beyond the call of duty to ensure our event goals were met, and our hard work resulted in a roaring success! The chapter’s efforts of raising funds through ticket sales and sponsorships resulted in sending over $8K to the college to provide scholarships and educational resources to students! President Beverly Hogan and TCNAA’s Vice President, James McQuirter, and Director of Alumni Affairs, Doris Bridgeman, were on hand to greet the crowd! The relaxed ambience of the Playhouse Café was a wonderful experience for all who attended. We danced the night away to the MAGNIFICENT sounds of the SOULTONES of Oxford, Mississippi! The whispers of “See you next year” filled the air! We look forward to seeing “U” next year! Mark your calendars!! Check out the fun we had by visiting our website at https://matac.tcnaa.org to view the event’s picture gallery and souvenir booklet!